Git is a free and open source distributed version control system designed to handle everything from small to very large projects with speed and efficiency. There are websites like github and bitbucket that host repositories but you can also have your own local repository on your intranet quite easily and for free. Below are the instructions for setting up a Git Client and Git Server on networked Windows 7 machines. 1. Install Windows 7 32-bit or 64-bit. Set computer name to gitserver. Set IP address to 20.0.0.1. 2. Create user accounts for each git user. All should have administrator privileges. 3. Log on with an administrator account. 4. Right click Windows Explorer icon and select "run as administrator". 5. Create repository directory "c:\repositories". 6. Share repositories directory. Right click "repositories" then "properties"" then "sharing" then "advanced sharing" then click "share this folder". 7. Make sure all users have permissions to use the repositories directory. 9. Install Git for Windows (use default configration options during installation). 11. Navigate to the repositories directory ("cd /c/repositories""). 12. Create a bare repository ("git init foo_project --bare"). 1. Install Windows 7 32-bit or 64-bit. Set IP address to 20.0.0.2. 2. Install Git for Windows (use default configuration options during installation). 5. Map network drive as G:, type in "\\gitserver\repositories". Use the same credentials as the user account you setup on the Git server. 7. Navigate to where you want to store your working copy repository ("mkdir /c/dev" then "cd /c/dev"). 8. Create a Git repository ("git init foo_project"). 9. Create remote repository link ("git remote add origin file://localhost/g/foo_project"). 10. Push your working copy of the repository to the Git server ("git push origin master"). 11. If you want to checkout the latest copy from the Git server repository type "git clone file://localhost/g/foo_project"
1. Navigate to directory where you want your cloned copy to reside: "cd /c/checkouts"
2. Clone the project: "git clone file://localhost/c/repositories/foo_project"
3. Now you have a clone of the project in the "c:/checkout/foo_project" directory. 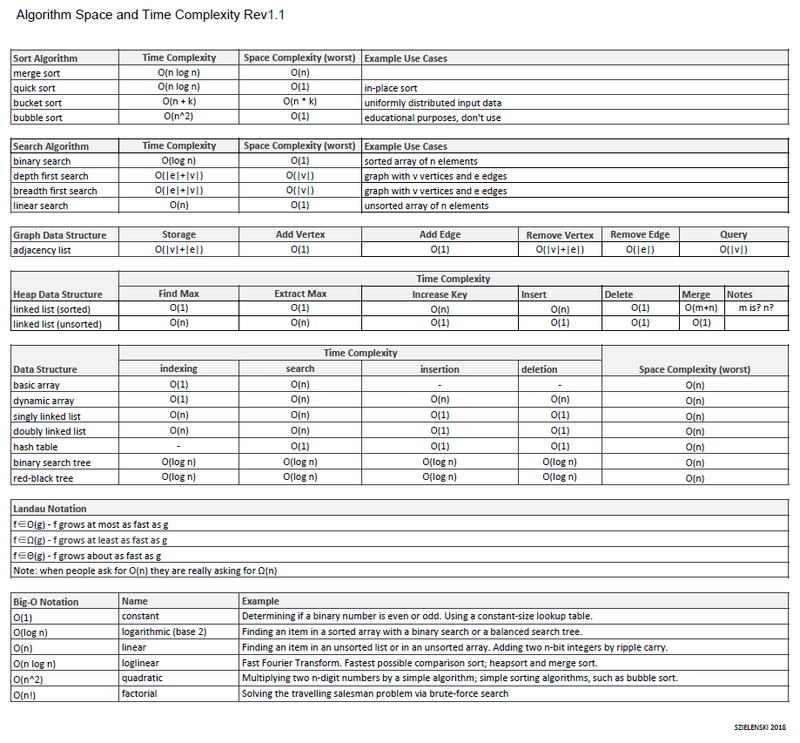 I have put together a spreadsheet with the time and space complexities of various algorithms and data structures. This is useful in the design and analysis of algorithms. I developed an Algorithm Design Template (ADT) to help with deconstructing software problems and coming up with solutions to them. 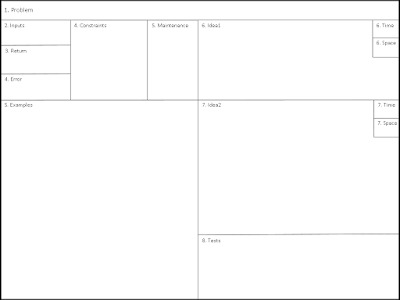 The template helps you identify inputs and outputs, run through examples, and come up with ideas, all in a structured fashion. I recommend using the ADT when trying to come up with complex software algorithms.